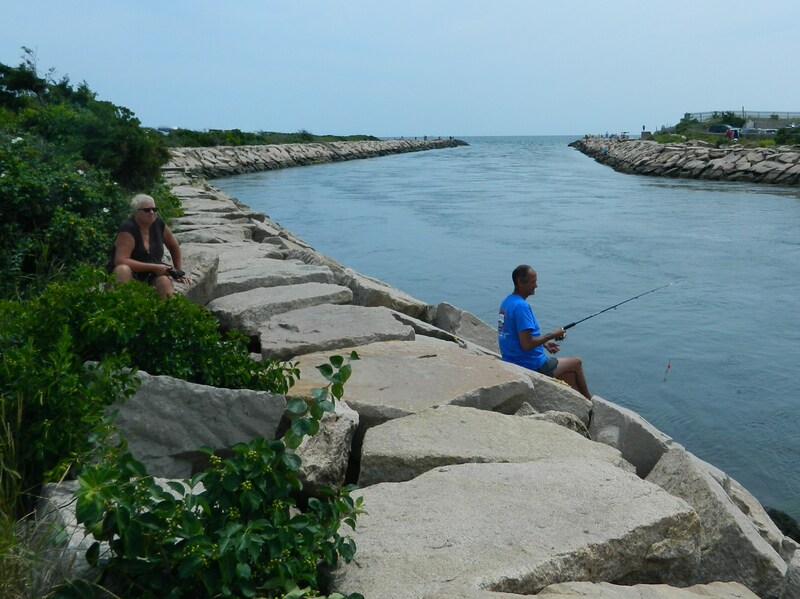 Photo by Jacqueline Bennett A popular fishing and viewing spot off Weekapaug jetty towards a far end of Misquamicut State Beach in Rhode Island. Not far from the crowded sands of Misquamicut State Beach in Westerly, Rhode Island is the beauty and tranquility of the Weekapaug jetty. Though only a short distance traveling down Atlantic Avenue from buff bodies strutting their stuff, shops, restaurants and even a carousel, it feels a world apart. Serenity reigns here. The alluring jetty of rocks seems like a sea siren beckoning one to the water. 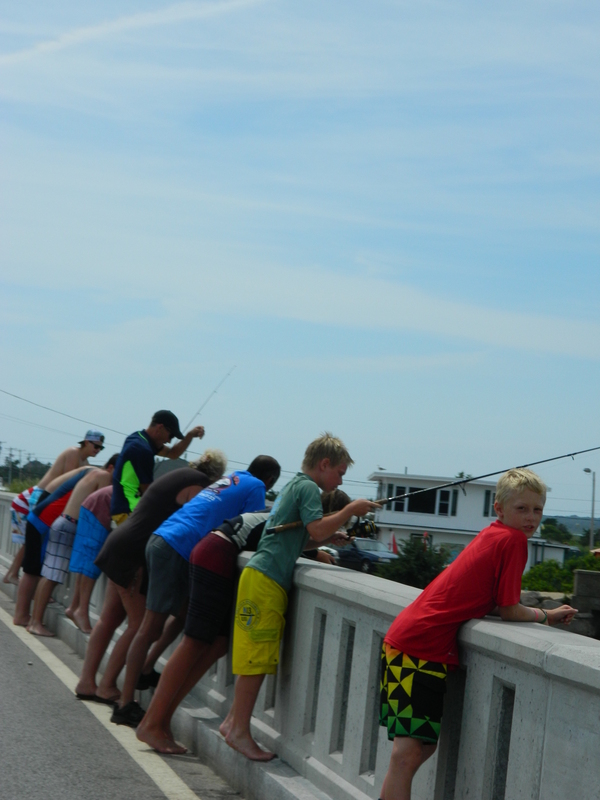 It is a popular fishing and viewing spot. Careful footing is required every step of the way! Visitors can often be seen having trekked to the outer end of the jetty. Motor boats make their way from nearby docks out into the mighty Atlantic Ocean along this channel, occasionally strong swimmers take their chances here and children frequently try their hand at angling off the overhead bridge. Next to the jetty is Dunes Park where not only cars can park but RVs can reserve a pad and stay. Fees are said to be steep but worth the price in order to get away from the hustle and bustle of the rest of the strip. For those interested in enjoying this area without paying a high fee or making a full day of it, there is a very small, public parking lot on the corner of Atlantic Avenue and adjacent to the jetty where those fortunate enough to get a space can sometimes park at no cost. Across the road from Dunes Park, is a little store and Dusty’s Ice Cream. Weekapaug jetty is one of those ‘worst kept secret’ type of places that everybody but nobody knows about. Turn right and drive a bit further for access to a lovely roadside ocean viewing location, and to get a look at some breathtaking seaside mansions. If simple, quiet beauty is what you desire – the jetty at Weekapaug is a pleasant alternative.